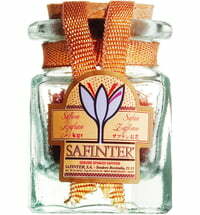 Safinter is one of the oldest established companies in the Safran trade. It was established in 1912. 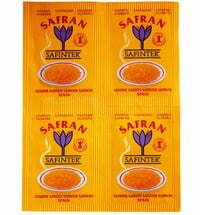 The saffron produced by Safinter comes exclusively from the heart of spanish region of Mancha. The saffron flower can only be harvested over 15-20 days a year. It is harvested at twilight by hand and is also processed by hand. Balleros "Cape Gooseberry in a White Dress"
White Tea "Vanilla Lemon White"